TOP: Promotional image for the movie. 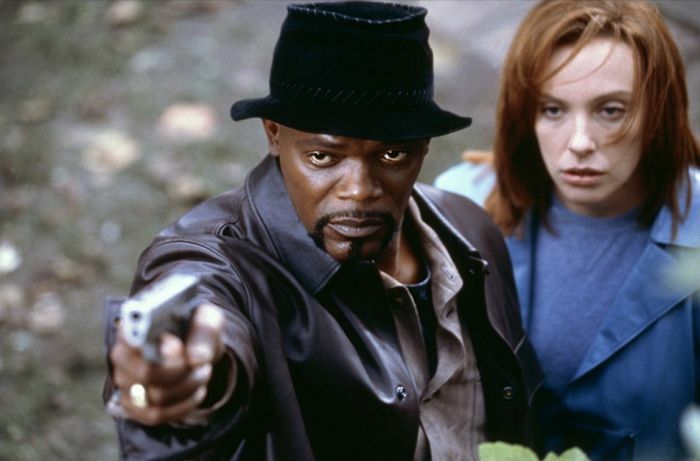 BOTTOM: Samuel L Jackson and Toni Collette. A similar hat appeared in Shaft's Big Score!. Director John Singleton's addition to the Shaft canon is available on DVD, Blu-Ray and so forth. 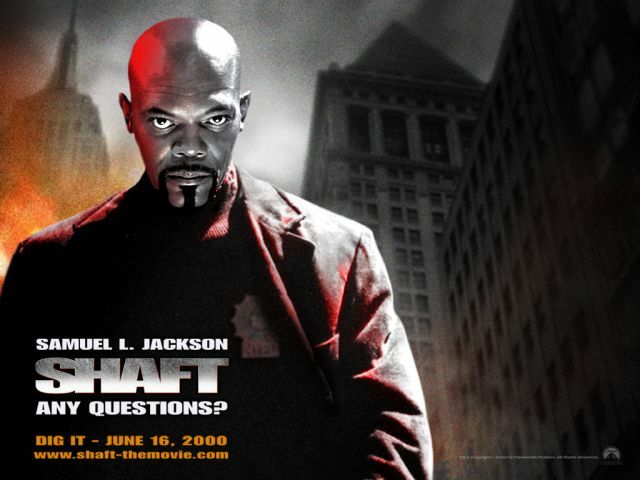 Certified cool icon Samuel L Jackson plays Shaft's nephew, with support from Richard Roundtree as the original and best. The younger Shaft is a policeman, which has mixed implications; while it makes the updated character more believable (it was hard to believe a private investigator would get away with what Uncle Shaft did), it also means the Shafts have gone from stickin' it to The Man to being The Man. Or maybe it shows that the revolution worked. The notion that the original Shaft needed updating spits in the face of reason, and completely misses the point of the original, but whatever. Anything with Samuel Jackson in it is worthwhile; even The Phantom Menace. 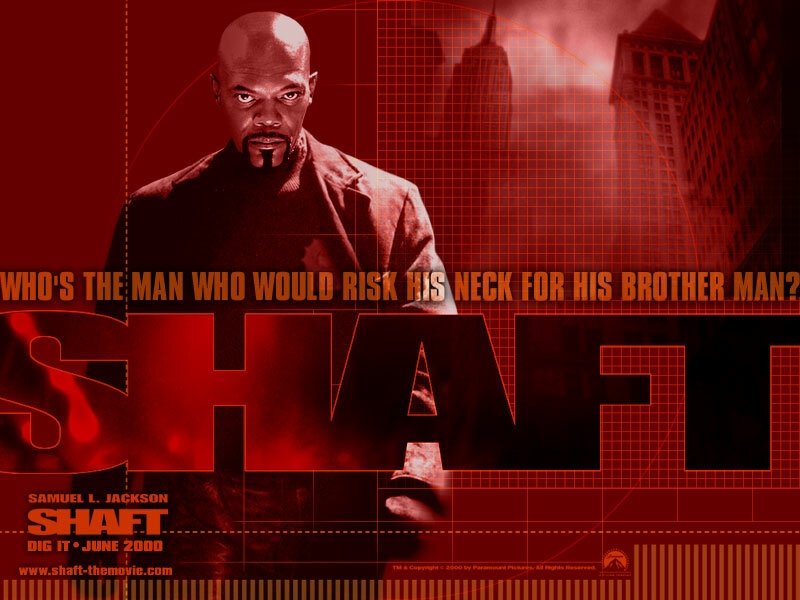 Shaft (2000) received a mainly positive response, while understandably not achieving the cultural significance of the original. A flashy Official Site existed for a few years but was closed down in 2004. (The link leads to an archived version.) One of its desktop wallpapers (800x600px) is archived here: Shaft 2000 official wallpaper.